Rob Kardashian and Blac Chyna welcomed newborn daughter Dream less than two weeks ago. 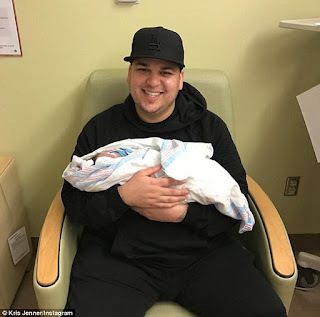 And Kylie Jenner couldn't be more thrilled over the latest addition to the Kardashian clan while speaking with E! News on Tuesday. 'The photos with Rob and his daughter literally make me want to cry,' the 19-year-old reality star gushed.